Stainless Steel Coconut Scraper By Wonderchef. user’s fingers and the blades saving your hands from cuts or bruises. Hence, the Wonderchef stainless. steel coconut scraper provides a safe solution to grate coconut. Moroccan Style / Design. 5 coasters Wooden Panel and Bark Pot made Laser Cut Wood (Plywood Panels). ● Material : Wood (Plywood Panels). Moroccan Style / Design. 6 coasters Wooden Panel and Bark Pot made Laser Cut Wood (Plywood Panels). ● Material : Wood (Plywood Panels). Handmade Green Bamboo ChaDao 4 Pcs kung fu Tea Ceremony Utensils Tools Set. Tea Digger: 18 cm. Tea Needle: 18 cm. There are small scratches.Length 32 cm. Height 12 cm. Width 12 cm. A great accessory for the household chef this Guinness apron is designed with the iconic Guinness toucan with a pint on his beak. The strings are adjustable for your convenience. -100% Cotton. Product DetailsCondition. They are cool and practical, as well as being a subtle reminder of a pint of the black stuff. -Guinness Pint Style. -Splits into 2 Parts - Salt and Pepper. Product Information. Product DetailsCondition. 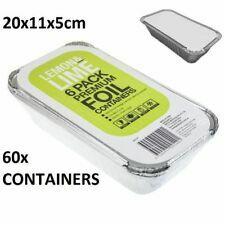 60 Premium Foil containers with Lids -Ideal for food storage, baking, & catering purposes - 60 containers with 60 Lids - 20cm x 11cm x 5cm DURABLE/ FOOD SAFE/ OVEN SAFE/ FREEZER SAFE. 400 Square Aluminum Stove Cover Liners. Disposable aluminum foil liners. 8-1/4" Square, center hole 3-3/4". Easy to remove and clean. Displayers4u is a supplier of products to assist with displaying fine china, dinnerware, antiques and collectibles. This 3 piece compact stand has been designed to display a dinner plate, cup & saucer (accomodates an espresso or regular size coffee/tea cup ). Spread liquid on top of the coffee grinds; brew in usual manner. 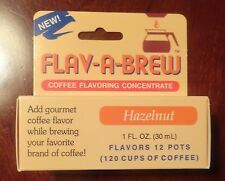 Amount of flavoring may be adjusted to suit taste. 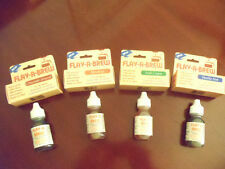 COFFEE FLAVORING CONCENTRATE E. · Sugar Free. · Bottle fits in any pocket or pocketbook. Hope you can understanding, will be sincerely appreciated. Color: as picture. Item number:442581. Rate (item arrived). Canada Rate (item arrived) 0.0% 47.1% 31.4% 17.6% 3.9%. Spread liquid on top of the coffee grinds; brew in usual manner. Amount of flavoring may be adjusted to suit taste. 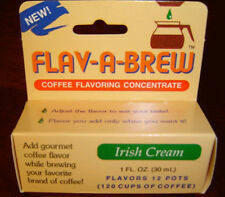 COFFEE FLAVORING CONCENTRATE E. IRISH CREAM. With all the basics at the ready, a bartender can really push the pace, putting more money in the till by night's end. This single hold speed rail can hold 5 individual quart or liter bottles. Made of 18/8 Stainless Steel material. With a twist closure to keep the contents fresh for longer, you will reduce waste and always have the freshest possible RED PEPPER SAVER ready to use. and also we have garlic saver. 2x RED PEPPER SAVER. Quantity : 10pcs. Material : Silk. We believe that a good communication will be helpful for solving the problems. Due to the difference between different monitors, the picture may not reflect the actual color of the item. 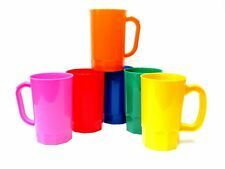 You could choose one of the them to hold cup dispenser or combine them. We will solve your problem as soon as possible. 1 x Cup Holder. - Made of hard plastic, it is sturdy, transparent and light. Your support for us always. 12 new Plastic Bag Handles. Pick up and carry as many bags as you can lift. You could choose one of the them to hold cup dispenser or combine them. We will get back to you as soon as we are available. 1 x Cup Holder. - Made of hard plastic, it is sturdy, transparent and light. 1 x Cup Holder. Sincerely hope that you can understand! - Color: Black. Adapte Dans Votre Moule (pas inclus) ou Garniture À N'importe Quelle Taille Pour S'adapter À Votre Pan. We will solve your problem as soon as possible. 1 x Cup Holder. Sincerely hope that you can understand! - Made of hard plastic, it is sturdy, transparent and light. - Material: Plastic. We can also remittance your money despite the good or proper products. With a twist closure to keep the contents fresh for longer, you will reduce waste and always have the freshest possible garlic ready to use. 2x GARLIC SAVER. Protects fresh garlic from air. A & G Sales Team. 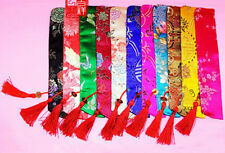 Material : bamboo & silk. We believe that a good communication will be helpful for solving the problems. Due to the difference between different monitors, the picture may not reflect the actual color of the item. For over 65 years Hoffmaster has led the industry in producing the most complete line of specialty disposable tabletop products. Convenient and decorative guest towel holder. Sits off the counter to keep guest towels dry.